Back when I was first trying to figure out an early version of iMovie to cut stuff I’d shot on Hi-8 tapes, more than a decade ago, I saw a documentary named The Cutting Edge. It was revolutionary for me because I had never really, really thought that hard about the editing aspect of filmmaking. Writing, camera, directing, and acting was about all I’d had a clear idea about and I was kind of afraid of all the fancy software. So much so that I had been editing by recording bits of stuff directly onto VHS from my handi-cam as a method of editing. In retrospect, that was an awfully silly thing to do, even if it did work – in a super clunky way. 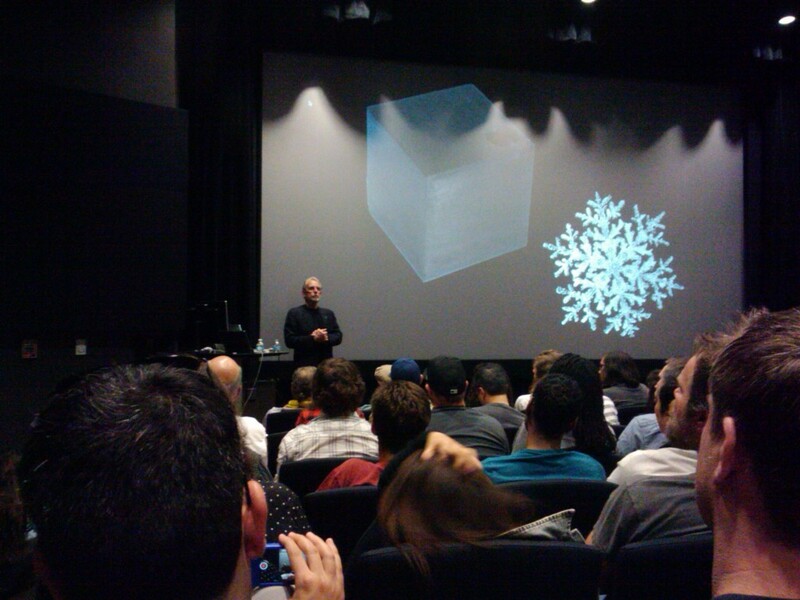 That film’s central speaker, from an editor’s POV, seemed to be Walter Murch. I was terribly impressed with the whole documentary, the historical perspective on the job, and by what Murch in particular had to say about the practice of editing. He explained that Janus was the god of transitions who looks to both the past and the future, showing an image to match. He the previous that year he’d finished editing Particle Fever and that year was editing Tomorrowland. He showed a quote by Victor Fleming about how editors make films look well directed, then gave a brief history of editing and theory. He said he thinks of editing more as building, pointing out that the word “montage’ is French for the concept of building. He talked about the word “fungibility,” which has nothing to do with fungus. He explained that it meant the property of changing or transitioning (actually it usually means interchangeable, but that’s pretty close). He illustrated his point by explaining that money changed from gold bricks to symbolic paper like checks around 1500, that energy changed from steam/coal to electricity around 1900, and that information was changing to a digital format in the current era. He mentioned an essay by Maxim Gorky called “Kingdom of Shadows,” which was about the man’s first time seeing a movie back in 1896 and the fact that he complained about a lack of color and sound right then. And also that he saw the splice from the Lumiere’s “pulling out the Coke” film to the one with the train as a “click” – like an edit. He mentioned that 11 min of film, 1000ft, weighs 11lb. So 1lb per minute. Apocalypse Now used 14,160 min (7 tons of workprint) and Particle Fever was 32,000 min of footage. He said that was an advantage of digital, that a workflow and storage for that would have been virtually impossible for Particle Fever otherwise. He mentioned 3 main aspects of editing: Plumbing (his word for workflow), writing (editors must basically write documentaries, and others as well to a degree), and performance. He said that The Unbearable Lightness of Being had about 50-60 hours of footage mostly shot by Prague film students, and they had to make the new footage match the old by making positive prints off of existing positive work prints with dust and scratches then recombined to edit. He mentioned that he used Final Cut 7 for Particle Fever (which had many audio tracks and was 32 bit, and required four 4 TB drives and one 1TB drive for storage), but that he had to use Avid for Tomorrowland because it’s 64 bit (despite the extremely limited number of tracks one can have) and there were some aspects of the program that were preferable to Premiere for the project. He showed how he uses big boards with colored notes to organize editing for a project, especially a doc. The colors stand for each major character, triangle shaped bits mean time periods, and diamond shaped bits stand for events. He uses representative still shots for each camera setup (to show why they shot the given shot) and lists which camera and take they are from. Using this system, like a structure board and representative images, he explained, was like how having a map makes getting lost okay because you can always use it to find your way back to the river channel, so to speak. He said Tomorrowland was mostly being shot with a Sony F55 or F65. He illustrated that in the digital era Pixar and similar film companies make total control over a movie possible, so that 21st Century filmmakers must now choose between a place on the spectrum from over-controlled filmmaking (the older equivalent being how Hitchcock worked) and practically uncontrolled/spontaneous filmmaking (an equivalent being Coppola). He mentioned that since his assistant editor wrote the manual for FCP X, he had a reasonable assumption that it was made primarily to appeal to inexperienced kids/the general public, but was “not ready for primetime” as it lacked some functionality and was likely released prematurely. He theorized that the ideal number of cuts per minute was culturally based, but that the ideal number of setups per minute was about 14. He stands to edit, but sits to review material. He reclines to make ideas drift up from the ether of his mind. The rest of my notes were packed away in a recent move, so I’ll add to this post later when I find them.